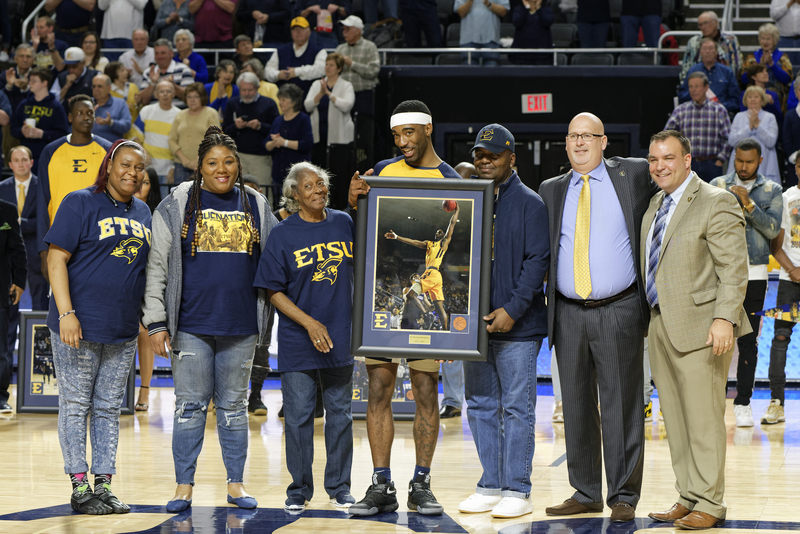 The Bucs regular season came to an end Sunday at Freedom Hall. With a chance to clinch a share of the SoCon regular season title, the Bucs had to re-group. The Bucs, having lost their last two games at home, have struggled to close out games. 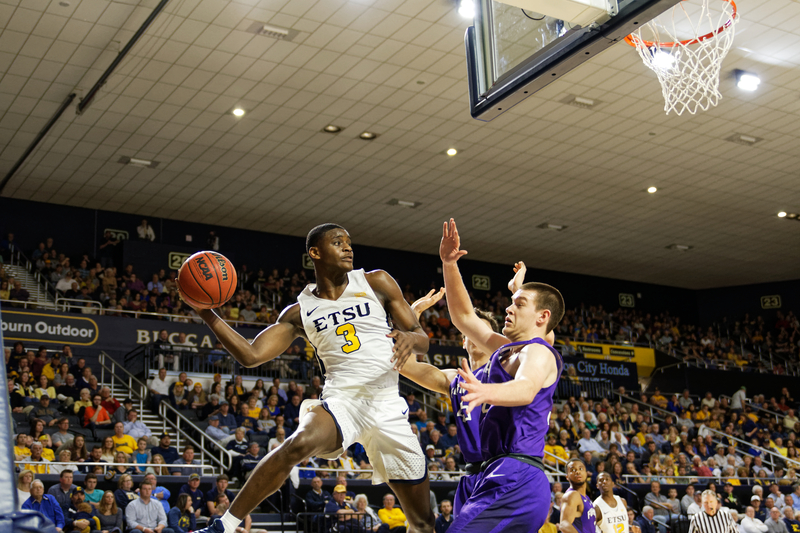 The Bucs had lost their last two games by a combined three points coming into Sunday, going against a Furman team who was hot winning their last five games. At the tip, the Bucs came with a lot of energy leading to a quick five to zero lead. However, as the first half progressed, the Bucs defense struggled to keep Furman from getting to the paint leading to fouls. With less than two minutes remaining in the first half, the Bucs hit two big three’s back to back to take a 39 to 37 lead over Furman. With 40 seconds remaining, Furman hit a three to take the lead at the half. Furman led 40 to 39 at the half, but the Bucs offensively had a lot to build on going into the second half. Senior Desonta Bradford (Humboldt, Tennessee) was quiet offensively in the first half, only taking three shots for two points, an unusual statistic for him. For the Bucs the senior trio of Devontavius Payne (Carbondale, Illinois), Jalan McCloud (Fort Worth, Texas) and David Burrell (Milwaukee, Wisconsin) combined for 31 of the Bucs 39 points. Despite the Bucs defense forcing Furman to shoot below 40 percent, the difference in the game was free throws with Furman making all 12 attempts. The Bucs only attempted two free throws the whole half making one of two. After a quiet first half, Bradford scored 17 points in the second half leading all scorers with 19 total. 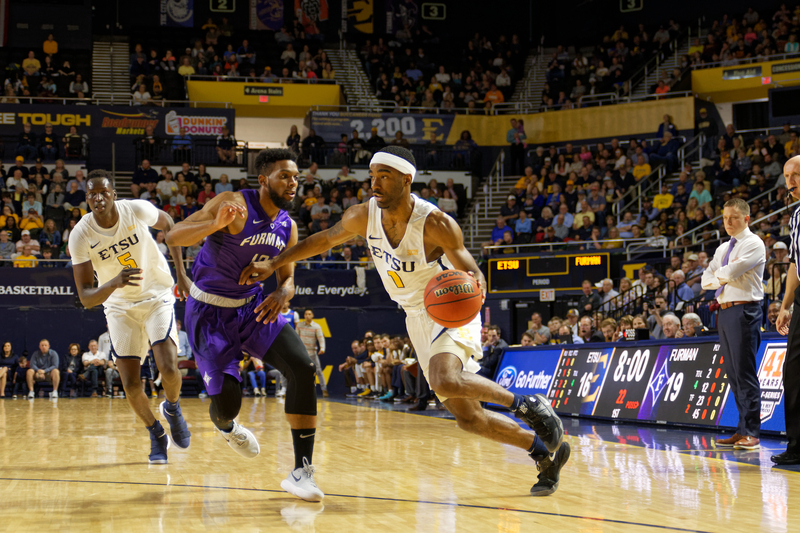 The Bucs defense allowed Furman to shoot above 50 percent in the second half, which hurt them when they could not make a three-pointer down the stretch. Up five with just four minutes to play the Bucs looked to close out the game. However, Furman hit back to back threes to retake the lead up 71 to 70. The Bucs could not pull together enough stops in the end, despite playing well enough to win. Furman won 79 to 76 to secure the No. 3 seed in the SoCon tournament. The Bucs finish the regular season with a record of 23-8 and 14-4 in conference play. They will be the No. 2 seed heading into the SoCon tournament in Asheville, North Carolina. ETSU opens play Saturday, March 3, at 6 p.m., against the winner of the Samford-Chattanooga Friday game. In the women’s tournament, ETSU is the No. 2 seed and opens play Thursday, March 1, against No. 7 seed Wofford at 3:30 p.m.